This high-power, 18-200mm, lightweight and compact zoom lens weighing 16.2 ounces with a 62mm filter is designed for mirrorless interchangeable-lens cameras. 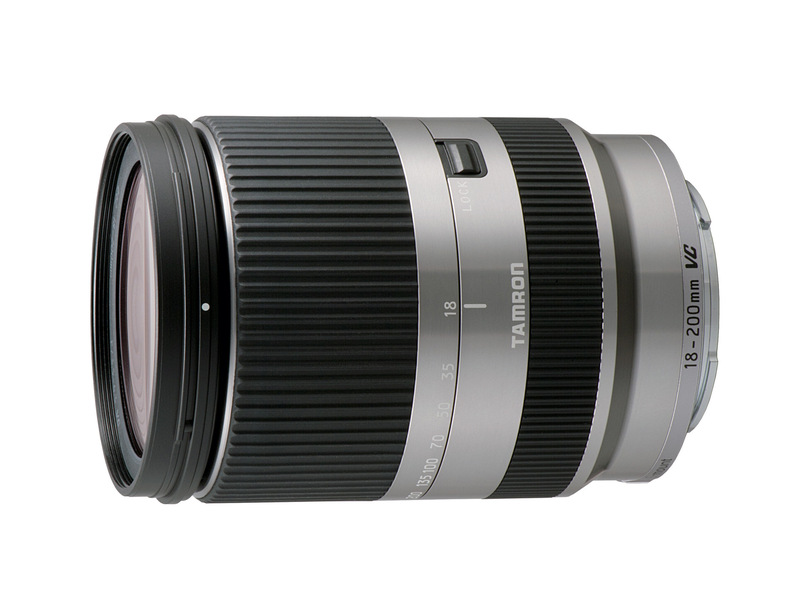 Equipped with Tamron’s acclaimed VC (Vibration Compensation), the lens enables easy handheld shooting from 18mm wide angle to 200mm full telephoto. Employing two (Low Dispersion) elements, three Molded-Glass Aspherical elements, one XR (high refractive index) element, and one Hybrid Aspherical element, the lens delivers astounding image quality by reducing aberrations to a bare minimum. The lens boasts a striking appearance worthy of mirrorless interchangeable-lens camera designs. The metallic lens barrel exterior is available in two colors: black and silver. The lens also has a stepping motor adopted for the AF drive, a construction that accommodates Contrast-detection AF and shooting video. This feature also supports Direct Manual Focus (DMF) function, which allows the user to make fine manual adjustments after initially focusing by AF.